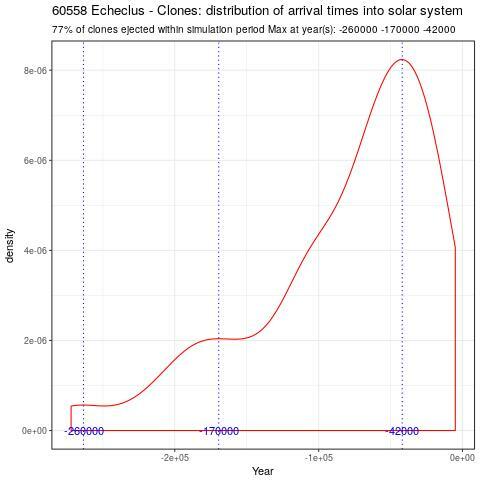 60558 Echeclus (2000 EC98) also known as 174P/Echeclus is a centaur that occasionally shows a cometary activity. 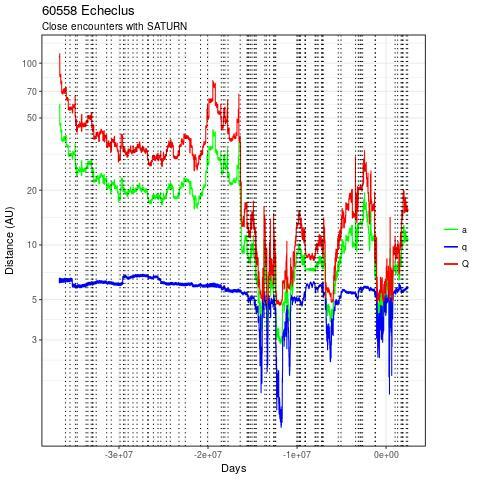 Outbursts happened in 2005, 2011 and in the first days of December 2017 (see MPML message from Brian Skiff) and confirmation from Richard Miles and Jean-François Soulier. 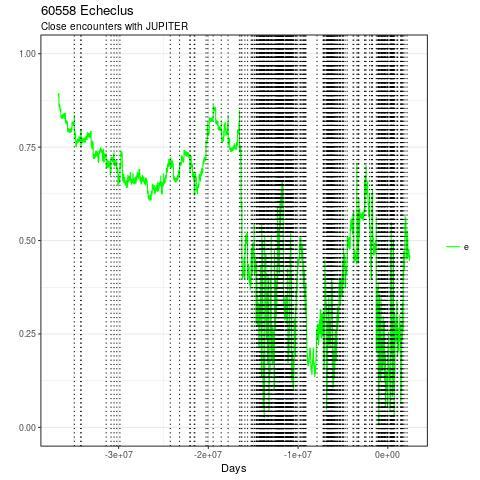 The 2017 outburst is the strongest ever witnessed. 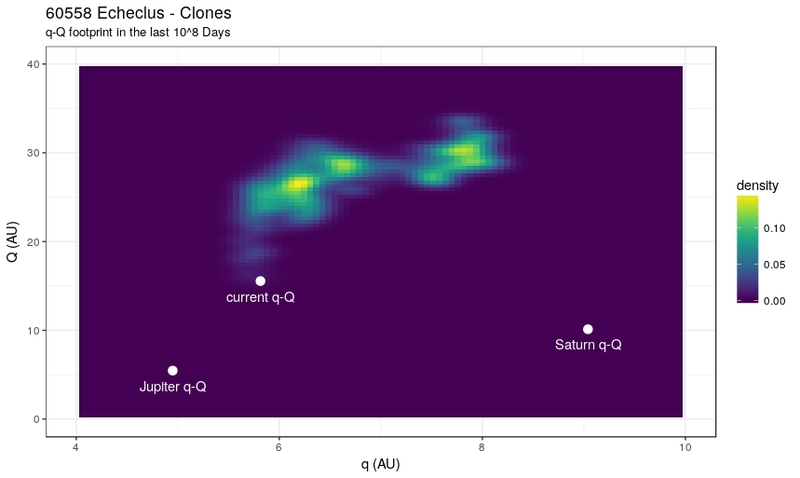 I simulated 100 clones of this centaur in the past 10^8 days trying to confirm its possible cometary origin: note that I am not taking into account the non gravitational forces associated to its outburst, not clear to me if they have a considerable effect. 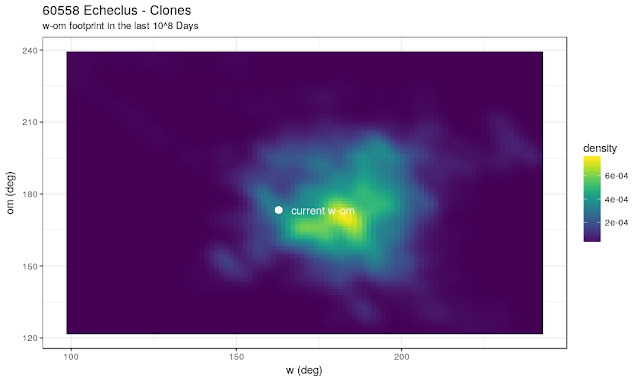 77 out of 100 clones have a cometary orbit (i.e. they came from a distance greater than 100 AU). 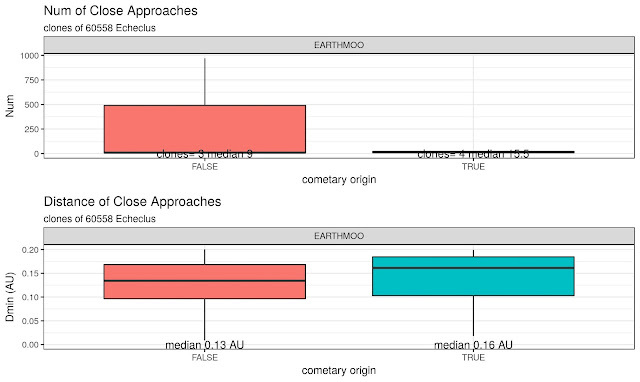 The nominal asteroid itself has a cometary origin. It entered into the solar system at about year -105000 B.C. 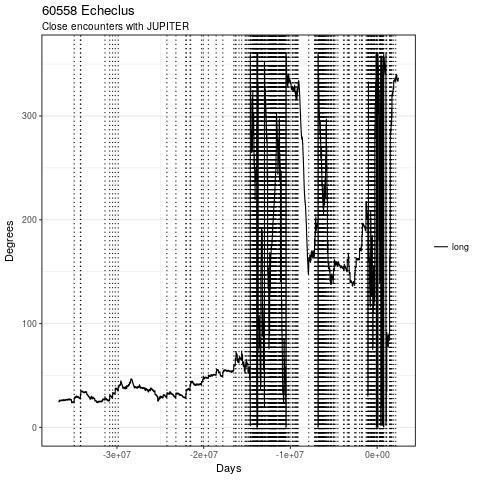 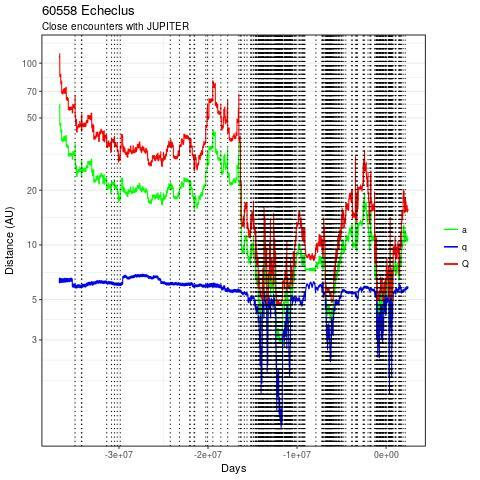 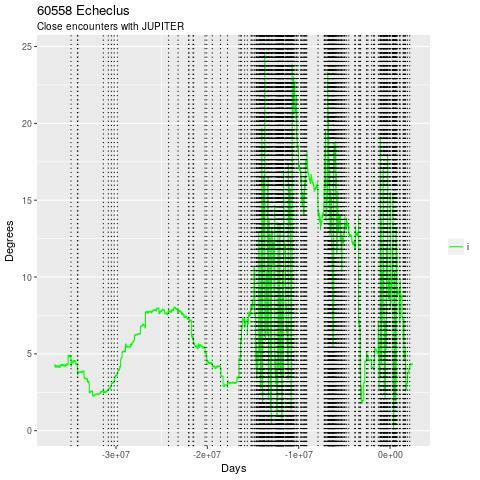 In the plot below, the dashed vertical lines correspond to a close approach with Jupiter. 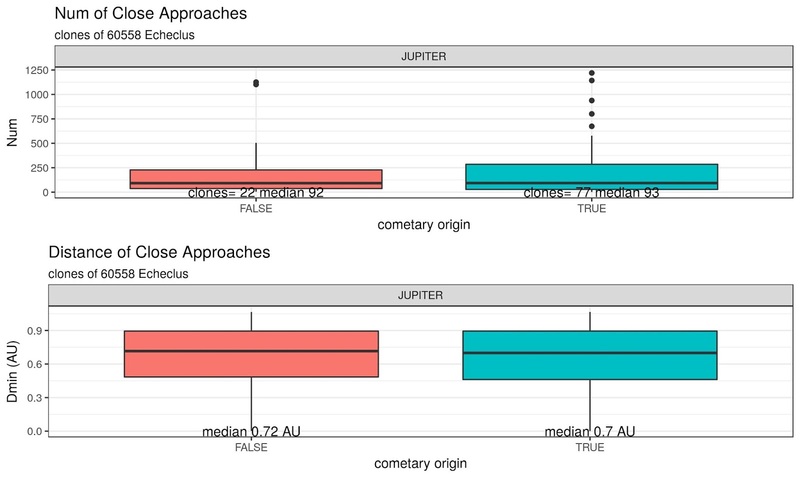 Note that Jupiter was not immediately important. At any given time in the past, a clone had a certain perihelium q and a certain aphelium Q (I disregard the clones when on an hyperbolic trajectory because Q would be infinite). 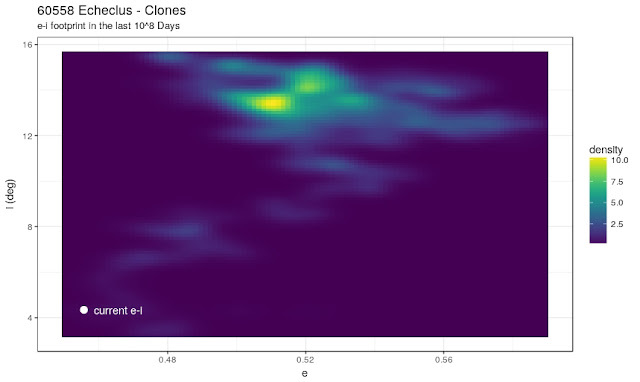 Let's imagine that we plot all possible q-Q points in a diagram: the highest density area is the one where the clones happened to be for most of the time. 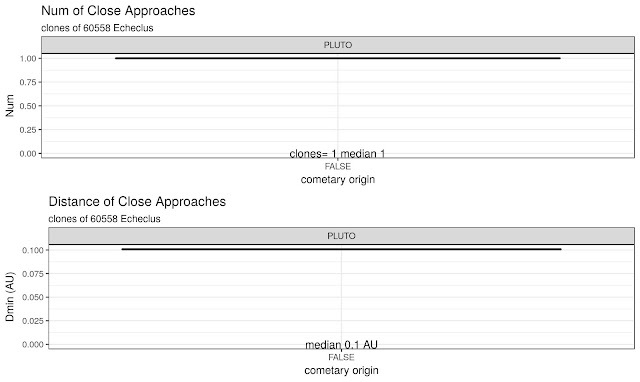 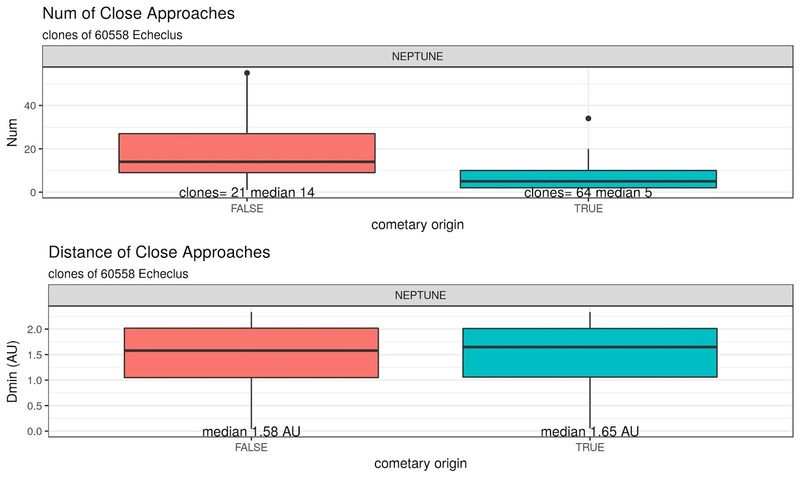 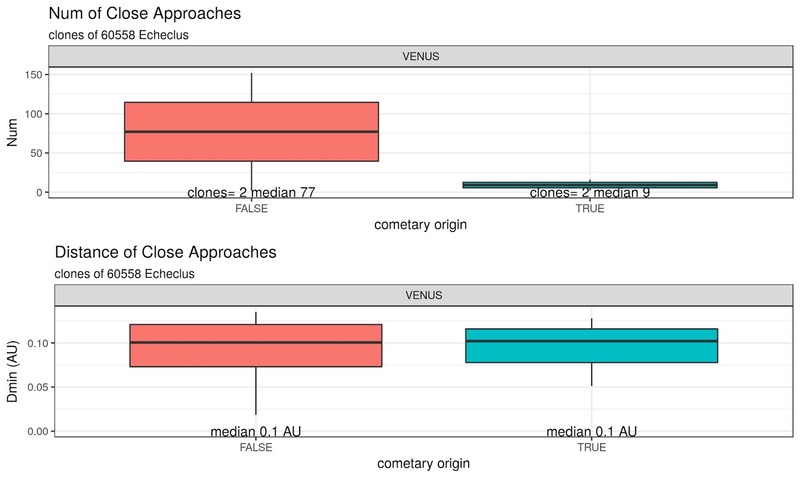 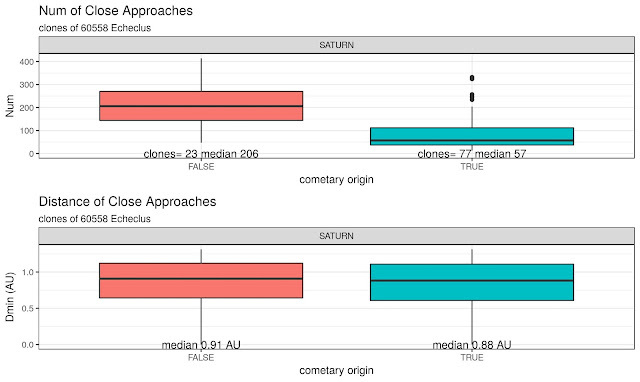 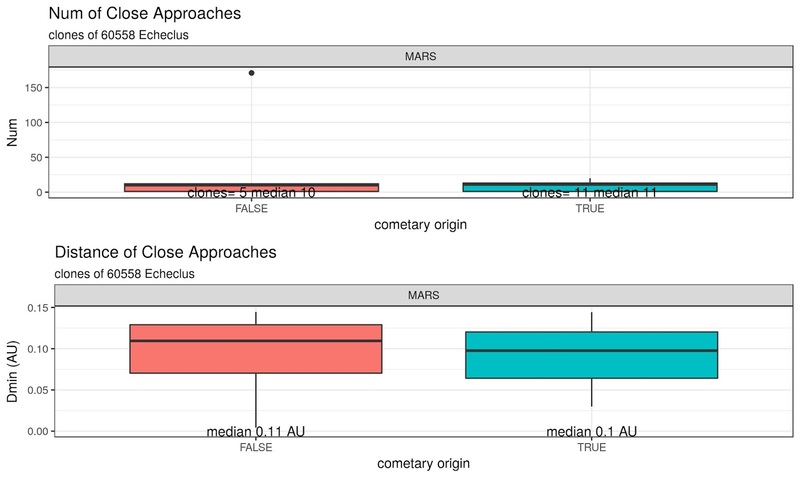 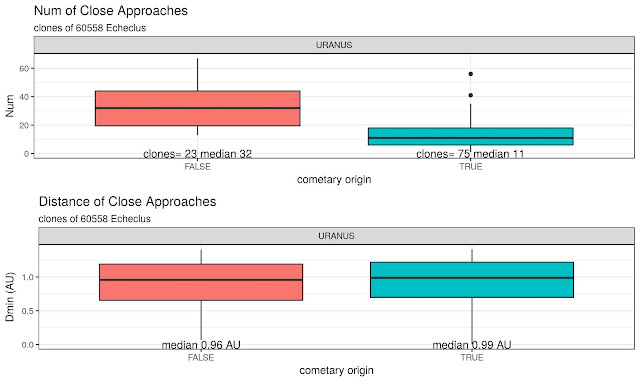 These plots show the distribution of close appproaches (number and Dmin distance) between the clones and the major planets.